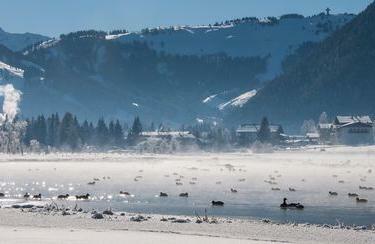 St. Ulrich, surrounded by beautiful mountain scenery, ispires its guests, next to tranquil, varied ski areas, with perfectly groomed cross-country trails, attractive freeride areas and fantastic ski routes. 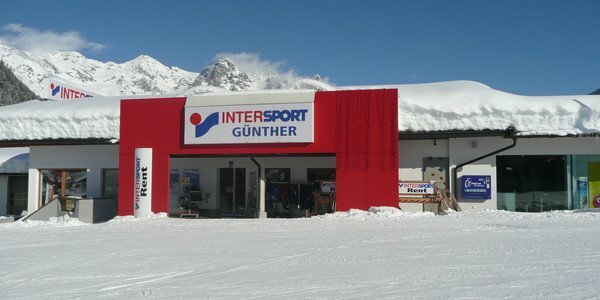 The overwhelming choice of winter sports equipment and the extensive services in th eski rental of INTERSPORT Rent in St. Ulrich are impressive too. You want to enjoy athletic challenges at skiing by day and let the day end in a peaceful environment in the evening - away from noisy popular resorts? Then you are absolutely in the right place in St. Ulrich. Enjoy varied runs in the ski resort Buchensteinwand, in the near Fieberbrunn or on the Steinplatte Waidring and enjoy the well-groomed tracks of a well-developed network of trails. Anybody who would rather prove his skiing skills off-piste will find wonderful variations and tours in the nearby Fieberbrunn. The motto "Easy up - wild down" characterizes the new lifts that make fascinating deep snow and firn snow slopes accessible to off-road enthusiasts - suitable for beginners and professionals. Trust in the competent staff at INTERSPORT Rent in St. Ulrich when choosing the proper equipment for freeriding. Whether carving skis, Big Foot, snowboards or cross-country ski equipment - the ski rental of INTERSPORT Rent in St. Ulrich holds the best winter sports equipment for your sporting adventure in readiness.